To make its way in the 2015 SUV market, Chevrolet has started making its efforts and has come up with its redesigned version of 2015 Chevrolet Tahoe with major highlights quite visible in its design, standard and availability of optional equipments. To make it a tough competitor in the thriving SUV market, Chevrolet has integrated some changes like fold flat third row seat, quieter and high quality material cabin, improved fuel economy and updated exterior styling. 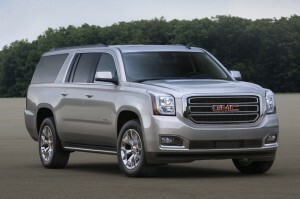 Some of the reviewers might find the all new 2015 Chevy Tahoe minimally evolved, but once you take a deep look into it you will realize there is nothing old fashioned about this latest version of Chevrolets’ full size SUV and its actually top notch in terms of technology and versatility. For the very first time in Tahoe, Chevrolet has introduced the feature of folding third row seats on the floor instead of removing them, although the other SUV manufacturers have adopted this years ago, but this time Chevrolet has also made considerable changes in this segment to offer maximum convenience to its buyers. And addition to this is the power actuated folding feature for both second and third row seats, this has made the small statures easily manageable which earlier used to be a little cumbersome while handling. 2015 Chevrolet Tahoe has made remarkable improvements in its fuel economy, which earlier used to be a point of concern for Chevrolet buyers. Apart from that, this year you will find value additions like a brand new touchscreen interface with added integration of connecting smartphones, latest and high on tech electronic safety feature is a must to look out for as it will keep on providing vigilance even if the driver fails to pay attention to safety details. Some of the major features of 2015 Chevrolet Tahoe safety equipment are land departure warning system, front collision warning, blind spot monitoring and advanced mitigation system. Like every SUV, 2015 Chevrolet Tahoe also has its own share of negatives and it comes with its space efficiency which is quite better in other crossovers, however its towing capabilities are unbeatable and can give tough competition to others. However, if you compare other large crossovers with Tahoe you will find out that Chevys’ Tahoe is not only heavy duty but also offers considerable space for passengers along with its comparatively equal cargo hauling abilities. The best thing about 2015 Chevrolet Tahoe is that despite being heavy duty it doesn’t give you truck like driving dynamics and still feels like a luxury SUV while driving. The toughest competition for Chevrolet Tahoe is standing tall in Chevys’ own showroom with the name Chevrolet Traverse as it offers substantially bigger cabin and cargo space. Other options which a buyer can consider while buying full size traditional SUVs giving tough competition to Tahoe include Toyota sequoia, which has almost same driving dynamics and blend of functionality, refinement as well as performance. But if you are looking for a full size SUV with the ability to offer do all utility and no compromise in comfort then 2015 Chevrolet Tahoe is your best bet. www.reviewitonline.net provides expert and honest car reviews from car manufacturers located all over the world. As a website which offers news and reviews on the car industry, we rely entirely on the quality of people that create this website. The team at reviewitonline is comprised of editors, bloggers, technical experts and reviewers with a passion for cars. Copyright © 2007-2019 Reviewitonline.net. All rights reserved.